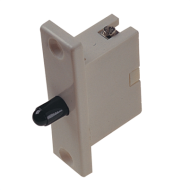 Click CMA010 1 gang 1 way white plate light switch. Max current : 10 Amps. Click CMA011 white 1 gang 2 way plate light switch. 1 gang architrave light switch. We also keep boxes to mount this switch. 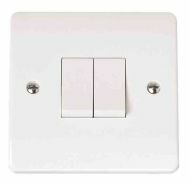 2 gang architrave light switch. We also keep boxes to mount this switch. 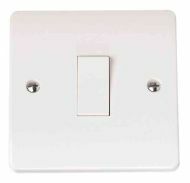 Click CMA012 white 2 gang 2 way plate light switch. 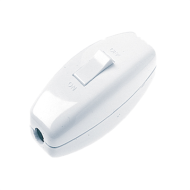 Max current per switch : 10 Amps. 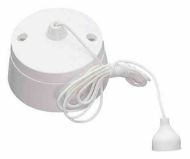 Click CMA013 3 gang 2 way white plate light switch. Max current per switch : 10 Amps. 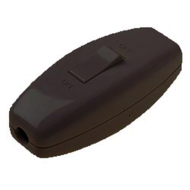 Click CMA019 4 gang 2 way light switch. It is the same size as a double plug socket. Max current per switch : 10 Amps. In-line black torpedo rocker switch 6 Amp. Double pole (isolates both live and neutral). Flex (up to 3 core) into each end. Normally used for table light lamp switch. 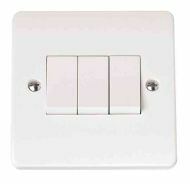 Switches OFF when button is pushed in (like a fridge), can be used as part of an automatic light system that turns on when a door opens. 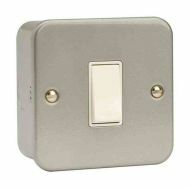 Click CMA025 intermediate plate light switch. 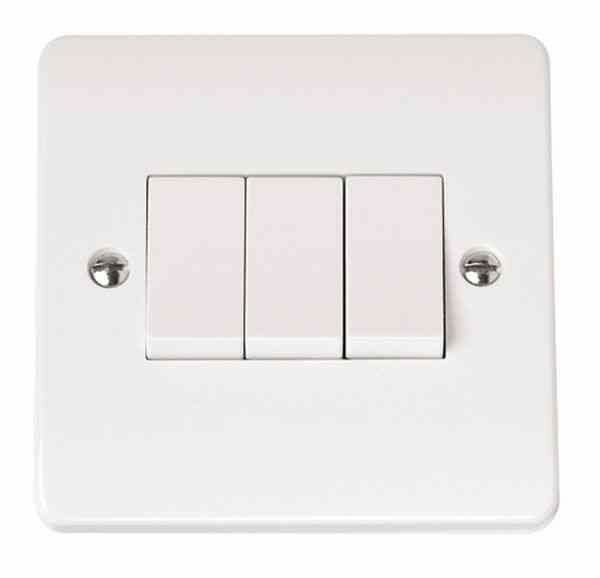 Used in conjunction with 2 way switches, an intermediate switch allows users to be able to control lights from more than 2 locations. Panel mount pressal switch. Push on, push off, push on, push off ..... Single pole. 250 Volt 1 Amp. Makes a neat fit in a 10mm hole. MK3631 WHI 1 gang moulded white frontplate. 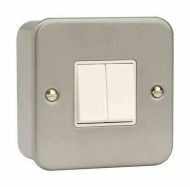 Compatible with modules from the MK Grid Plus range. Includes screws. 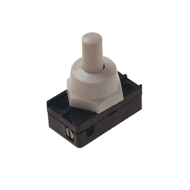 In-line white rocker switch 6 Amp. Double pole (isolates both live and neutral). Flex (up to 3 core) into each end. 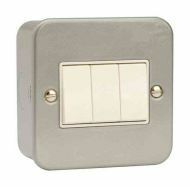 Normally used for table lamp light switch.